In Bonobos, the Origins of Anonymous Charity? In soliciting and accepting donations, charities are naturally reliant on the human impulse to do good and to share, and now, scientists have some new insights as to the roots of that impulse. 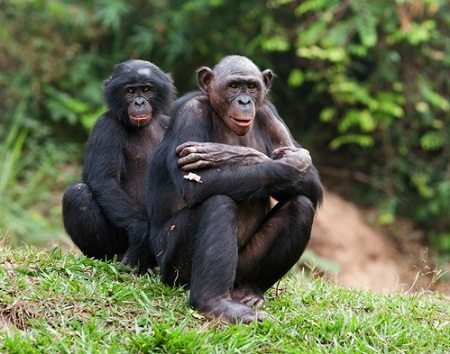 Duke University evolutionary biologists Jingzhi Tan and Brian Hare have recently published an article in the journal PLOS ONE titled, “Bonobos Share with Strangers.” The authors consider humans’ “propensity to share with non-relatives and even strangers” to be “one of the most puzzling human behaviors from an evolutionary perspective.” In a series of experiments with bonobos, an ape closely related to the chimpanzee, at an animal sanctuary in the Democratic Republic of Congo, however, the researchers believe they may have caught a glimpse of where that behavior comes from. The researchers’ findings “show that even when there was no immediate social reward, bonobos are still motivated to help a stranger acquire out-of-reach food.” In the experiments, bonobos were given a helping of food and the chance to release a stranger, and the bonobos opted to help the stranger achieve freedom, and then shared their food with that stranger. Next, the bonobo that had been freed would go free another bonobo who was in the same predicament that he or she had just escaped.